Recapturing that old-fashioned holiday spirit will be a lot easier with this charming card. The image is from a vintage postcard and takes us back in time. 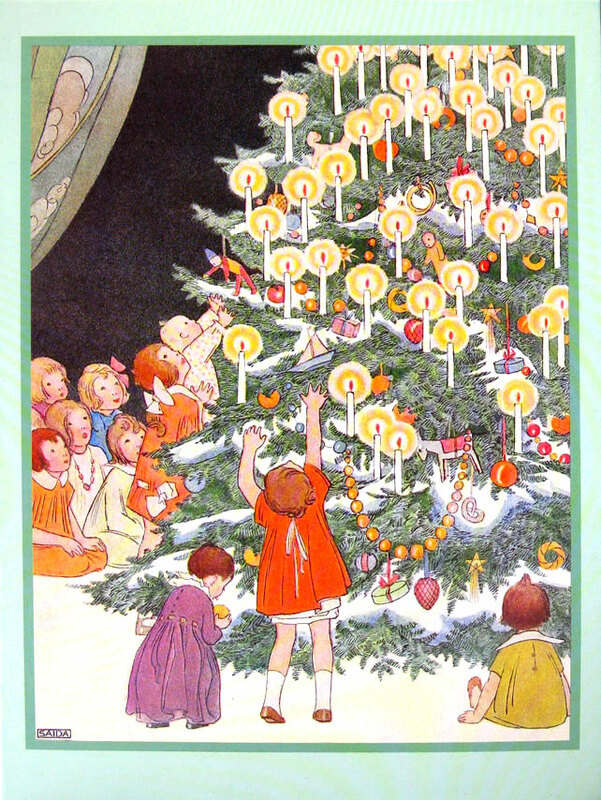 Little Kids and big decorated tree ("How Wonderful to be a Child at Christmas") measures 5" X 7" and comes 10 to a box with envelopes.